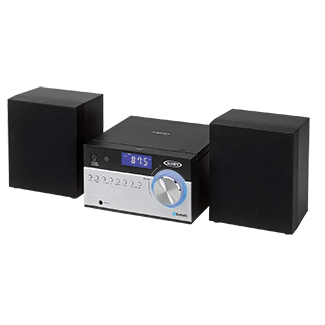 The JENSEN® JBS-200 is a compact bookshelf Bluetooth CD music system that's perfect for any room in the house. It features Bluetooth wireless connectivity with NFC (Near Field Communication) for easy pairing. The top-loading CD player plays standard store bought CDs as well as CDs made on your personal computer. 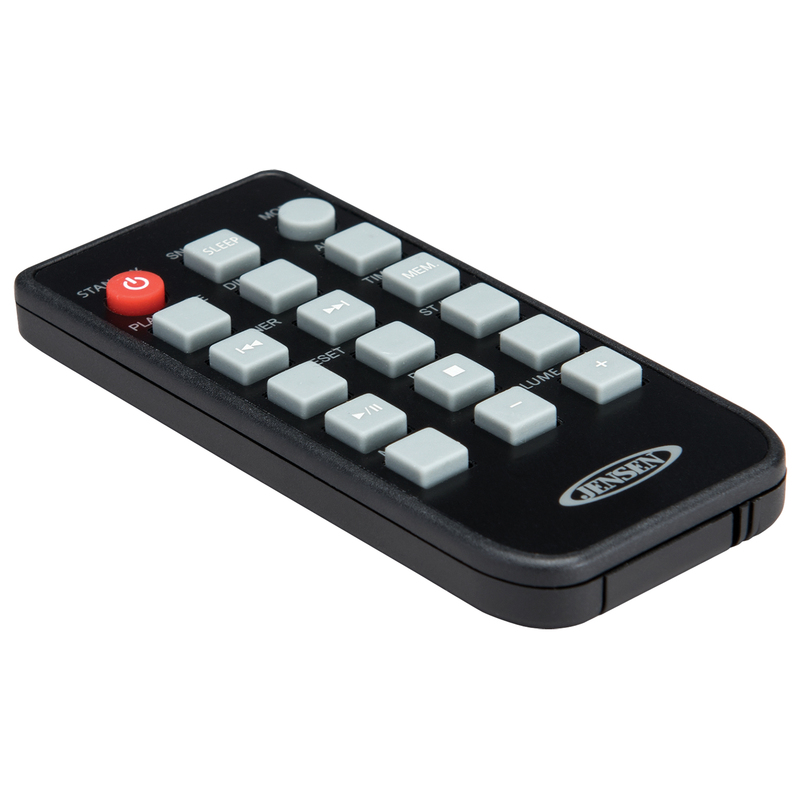 The JBS-200 offers a sleek, traditional design allowing it to seamlessly integrate with many different styles in the home or office. 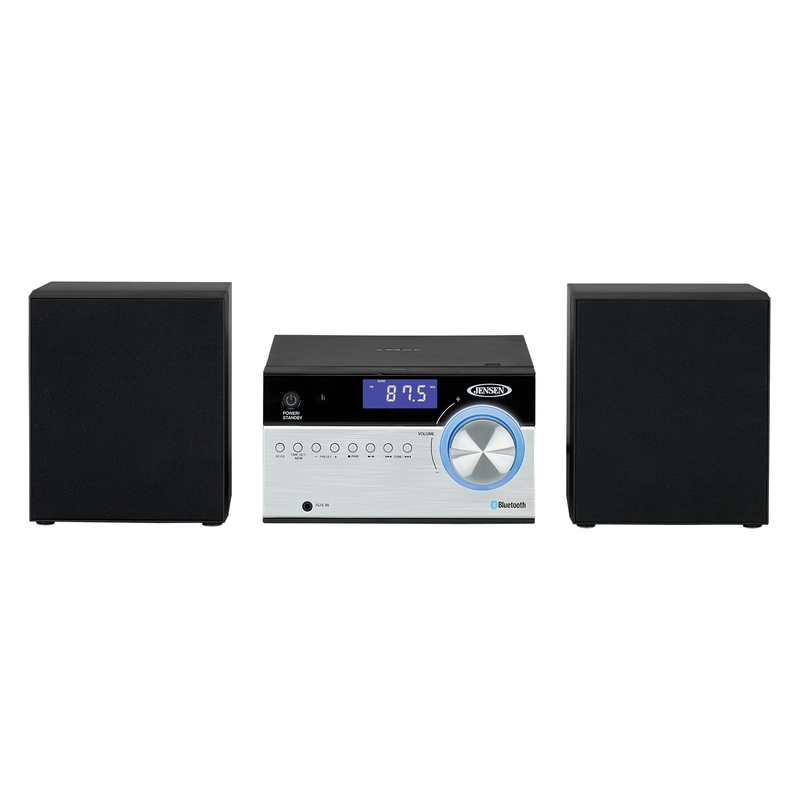 Along with the CD function is an AM/FM digital tuner with multi-function blue backlit LCD display. 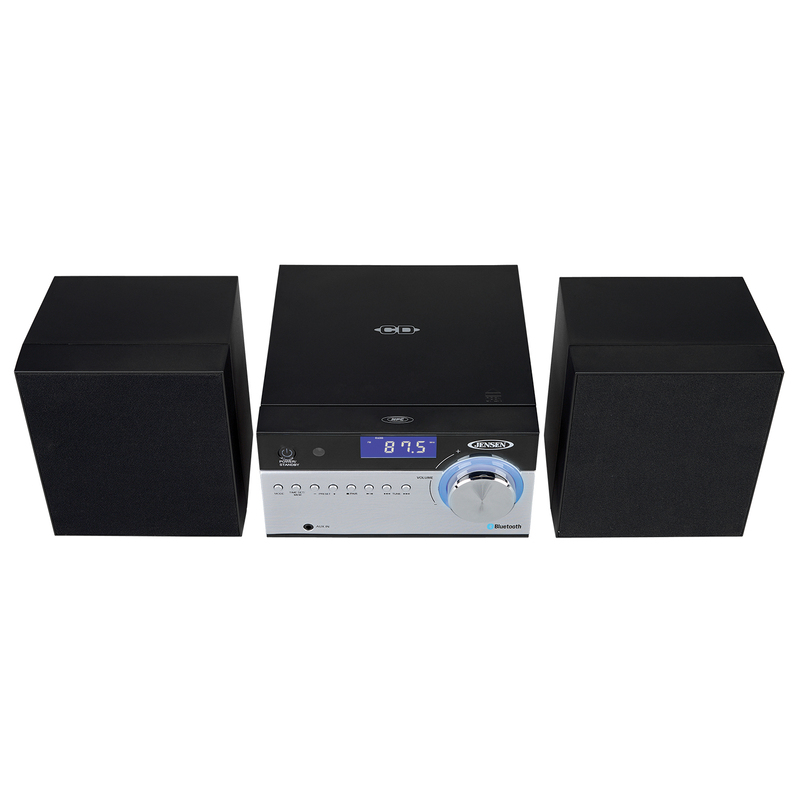 The unit also features an Aux-in jack, remote control and 2 x 2 Watts (RMS) output power. The unit operates using the included 120V AC Adaptor.